This entry was posted in Action and tagged family, photography, TV by cardboardboxoffice. Bookmark the permalink. That is hilarious! You forgot diaper as part of the bomb! 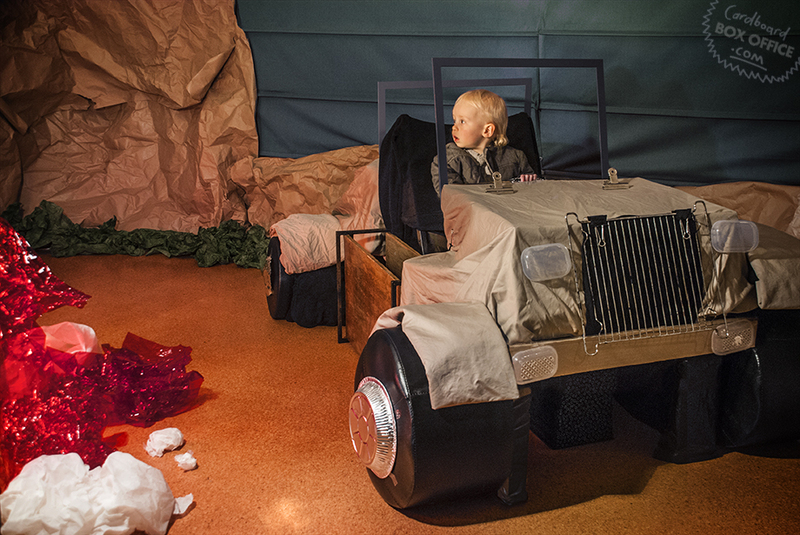 MiniGyver makes his getaway in a Jeep made of paper clips, Tupperware, a parachute & bubble gum! LOVE IT! Ha ha ! That is fabulous! wasn’t MacGyver played by Richard Dean Anderson? Orson could pass for Richard’s double. This is so cool! You guys should do a Good Morning Vietnam one, lol.